Awbrey Meadows is a homeowner’s dream come true. 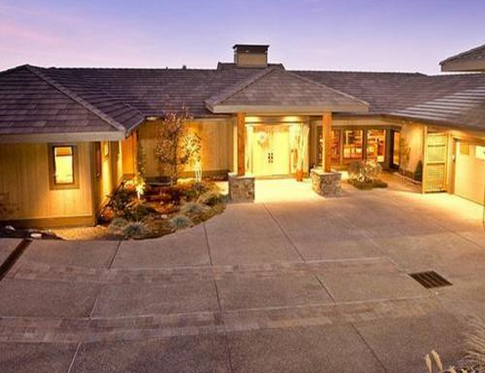 It offers residents the best in Oregon living. Awbrey Meadows is an stylish, elegant, and upscale community of homes located within the city of Bend, Oregon. The average sale price for these homes is $1,000,000. The city of Bend lies within Deschutes County. Adjacent to Deshutes County are (north), Klamath County – (south) Harney County (southeast), Lake County – (south, Lane County – (west) – Crook County – (east) Harney County (southeast), Jefferson County – and Linn County – (northwest) counties Central Oregon. Awbrey meadows and the City of bend lies east of foothills of the Cascade mountain range. This area enjoys 12 inches of rainfall per year. Awbery Meadows and the city of Bend is relatively close to the city of Eugene. Bend is located approximately 2 hour and 32 minutes of Eugene if you travel the I-26. It is 3 hours and minutes away from the city of Portland if using U.S. 5 and state highway I-22. Residents of Awbrey Meadows live and own homes in the zip code area 97701. $ 287,000 is the average home sales price Bend. The average price for homes for each square foot is $157. The number of K-12 schools in Awbrey Meadows totals 59. This includes elementary schools, middle schools and high schools) within the city of Bend. Institutions of Higher Education in and near Bend include Oregon State Cascades Campus and Central Oregon Community College. The geological landscape of the area in which the city of Bend is located is classified primarily as lava flows originatating from the now extinct, Newberry volcano. This domant volcano located south of Bend. Parks within the County of Deschutes include the major national parks of Newberry National Volcanic Monument and Deschutes National Forest. Some of the most notable areas of interest in Bend include places where residents can engage in the abundance of outdoor activities residents participate in such as as biking, mountain climbing, Biking, hiking, fly fishing and many others. Awbrey Meadows is a great place to call your home! It is one of the finest communities in Central Oregon. Awbrey Meadows is an elegant, upscale, and stylish neighborhood of Bend. It is dramatically set in a serene and tranquil, natural environment. The residents and their families of Awbrey Meadows enjoy both its lush landscape and amenities that have modern appeal. Awbrey Meadows is you and your family’s home and dream come true!